Inform yourself about our current rates. Age group: 2000 - 2002; disabled persons with over a 60 % reduction in earning capacity. Age group: 1953 and older; school-children, students, apprentices conscripts, up to age group 1991 with the appropriate valid identification. From April 13th 2019 onwards dogs need to wear muzzle and leash to be allowed to enter the Hungerburg furnicular and the gondolas of Seegrube and Hafelekar. All prices for tickets include the transport of the bikes and the use of all installations. You have to pay a deposit of € 2,00 for all tickets. * Ticket only valid at the day of purchase, ticket is not conferrable. ** Available as morning ticket until 1 p.m. and as afternoon ticket from 1 p.m. onwards. "Innsbruck all inclusive" is the motto. Innsbruck places all bets on one card! You can enter directly with the Innsbruck Card, this means that there is no need to get an extra ticket from our ticket offices! With the Innsbruck Card you get admission to Innsbruck's most important sights for little money. Attractions such as the mint tower in Hall and the Swarovski Crystal Worlds are included as well. Free public transport in Innsbruck and from/to Igls, Rum/Hall, Natters/Mutters is included as well as rides with The Sightseer or the Swarovski Crystal Worlds Shuttle. 1 ascend and 1 descend included on all lifts, funiculars and cable cars in the area of Innsbruck. (idle during most of november). The Innsbruck Card also offers reductions for special services and events, like: Tyrolean Evenings with the Gundolf Family, Die Boerse (bike rental), bobsleigh for visitors at the olympic bobsleigh run in Igls, ice skating at the Olympiaworld, Sightseeing with Schubert City tours as well as in certain speciality stores. 6021 Innsbruck, Austria, Burggraben 3, Tel. +43(512) 5356, Fax +43(512) 5356 341, info@innsbruck.info, www.innsbruck.info. More details in the Innsbruck Card brochure. The Bike City Card is your key to biking heaven in Innsbruck, allowing access to all the trails in and around Innsbruck with just one card. The Bike City Card is valid from the first day for the BikePark Innsbruck, the Nordkette, the Einseinser Trail at the Elferlift in Stubai, and the BikePark in Steinach am Brenner. On top of all that, the biking aficionados at Axamer Lizum are hard at work on their bike trails and building many more suitable routes for bike lovers. The use of all the trail areas' lifts and cable cars is also included in the Bike City Card, ensuring the most possible biking fun during for as long as your card is valid. * All prices include VAT tax, plus € 2 deposit for the Keycard. The Freizeitticket Tirol offers an incredible range of ski regions, open air pools, indoor pools, museums, skating rinks, bonus-partners and is valid all year long at an sensational price! The new season always starts by the 1st of October. www.freizeitticket.at. www.freizeitticket.at or on Facebook www.facebook.com/freizeitticket. Innsbrucker Nordkettenbahnen are partner of Tirol Snowcard. One ticket for endless skiing pleasure! The Tirol Snowcard is valid in 82 Tyrolean Skiing Resorts and is valid form Oct. 1st to May 15th. Snowcard at Hungerburgbahn only valid with skiing gear. 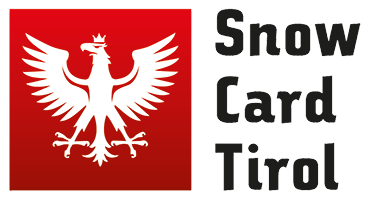 Get more information at snowcard.tirol.at.